Resources will be so limited that creating a waste stream will be nearly impossible—at least at first. That's because humans will only take what we absolutely need due to the limited space on rockets and spaceships and the time it takes to get to the planet—nine to 11 months, one-way. "Everything that you use and you create on Mars is so valuable. You simply can't afford a pollution stream, you can't afford a waste stream at all. Everything will absolutely be recycled ... at least in the beginning," said Stephen Petranek, author of "How We'll Live on Mars." As part of the efforts to eventually get humans to Mars, we've already put our mark on the planet through rovers and the latest NASA mission, InSight, which recently snapped a selfie as it begins getting to work mapping the inside of the planet in 3-D to better understand it's evolutionary origins. But we will have a far greater impact on the planet when humans get there, especially if terraforming—making the planet more Earth-like by modifying its atmosphere—occurs. "It will probably become a problem when Mars does seem a lot more like Earth and resources just aren't as hard to come by," Petranek said. "But people on Mars can choose, once they figure out to have a non-waste environment and a non-pollution environment, there's no reason for them not to keep that." To do that, she said, we need to change our mindset—we can't just look at Mars as an empty space with no value other than how it can provide for us. But Petranek said the driver for the pollution and trash on Earth just won't be a factor on Mars—at least for a very long time. "The primary problem on Earth is that the reason we are so wasteful and so destructive is we can't seem to agree both within our own country on what we should do and nations don't agree," Petranek said. 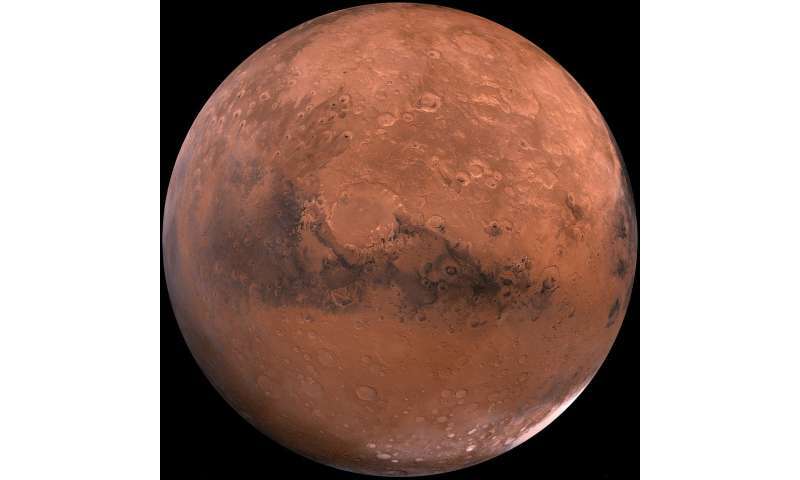 "That isn't going to happen on Mars because survival is going to be so much more critical." Humans need to suffer greatly. Specifically, they need to understand that money can not be the center of existence. We do not eat money, we do not breath money, we do not drink money, money does not love us. A human without spiritual life is less than a beast, it is a very dangerous, cruel, destructive, selfish and deceiving creature.